It’s Monday, which means a new podcast episode! 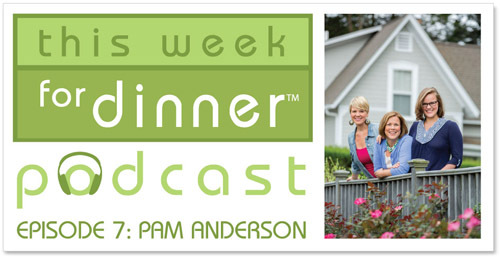 In today’s show I chat with Pam Anderson, New York Times best-selling cookbook author and blogger at Three Many Cooks. In 2009 Pam started the food blog Three Many Cooks with her two daughters, Maggy and Sharon, and they’ve been sharing their wonderful family and food ever since! I love this family and can’t believe how lucky I am to call them friends. Pam worked at Cook’s Illustrated for years and has written several fabulous cookbooks, so this woman knows food. I hope you enjoy listening to my discussion with Pam. She is a gem!